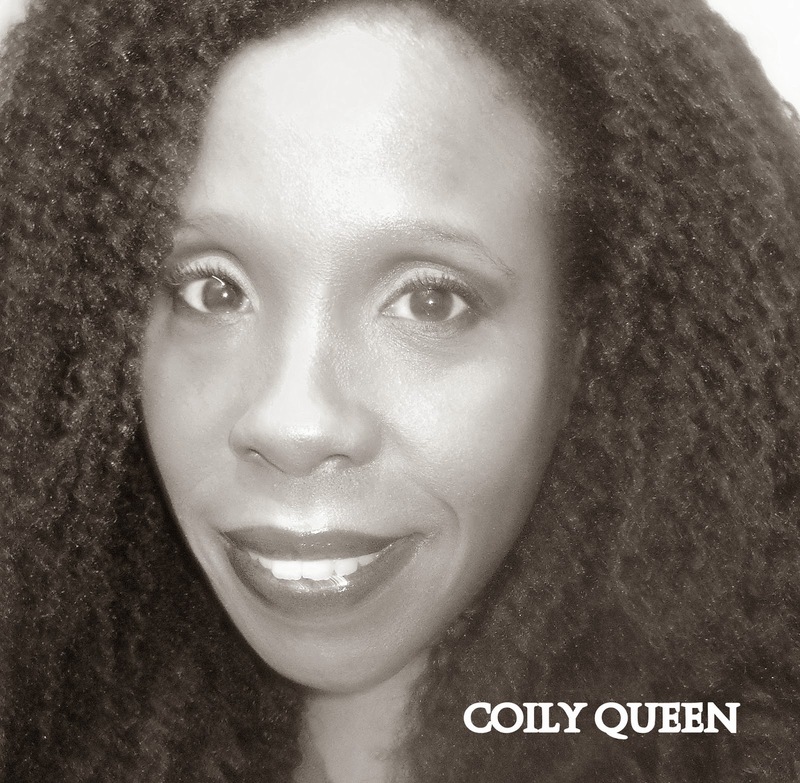 CoilyQueens™ : Growing your hair to great lengths by using protein treatments! Growing your hair to great lengths by using protein treatments! If your hair is fine or medium texture, tightly coily, chemically treated or weak, you should be doing good protein treatments on a consistent basis. Giving your hair the added strength of a protein treatment is key to growing your hair to waist length and beyond. Many are weary of protein treatments, for no reason other than they have been misinformed or they have used a treatment incorrectly. Whichever protein treatment you choose to use, always follow the manufacturers instructions. What is a protein treatment? A good protein treatment consist of hydrolyzed keratin protein, this is protein broken down small enough that it is able to adhere to your hair strands and fill in any broken spaces on your hair strands. A good protein treatment will enable you to manipulate your hair without experiencing breakage, this enables you to grow your hair to waist length and beyond. This is what protein does and it does it very well. I know for sure I would not have reached waist length without the assistance of a good protein treatment, such as the aphogee 2 step. My hair is fine and naturally short, it would only gain but so much length of around 3 inches, for many years. You see lots of bloggers with long thick hair, and do not realize they had long hair naturally while growing up. Well I did not, my hair was short growing up, so my hair growth is contributed entirely to the Coily Queens Haircare Method, and protein treatments are a large part of the regimen. Fine individual strands medium density hair. Will everyone need a protein treatment in order to grow their hair to great lengths? No, if your hair is natural with thick individual strands then you will probably not need a protein treatment, unless you experience damage of some sort. If you can comb your hair without it popping or breaking then your hair is strong enough on its own. Your hair is already made up of layers of protein and if they are still intact, you will not need a protein treatment. The latest thing marketed towards women with natural hair are these keratin straightening kits. These kits have many women confused. Some women think they are relaxers and that they permanently straighten your hair, this is incorrect. When you are shopping and come across these kits always read the back of the label and not just what they are saying on the front of the box. These companies are using terminology in their marketing that is greatly confusing naturals. The majority of these kits are simply protein treatments along with humidity control products, which keep your flat iron from reverting so quickly. Using protein on your hair protects your strands from the harsh heat of the flat iron, and it will keep you from experiencing breakage from straightening your hair. Protein also helps your press to last almost double the time it normally does, without it. Shea Moisture is winning still! Shea Moisture products recently came out with the Tahitian Noni & Monoi Smooth and Repair, hair straightening system. It contains keratin, peptides and botanical extracts. The kit is sulfate free, lye free and formaldehyde free. Now this system does not permanently straighten the hair, nor does it even straighten the hair. But the way they word this product, makes it sound like it is a straightener. This kits and many others like it are protein kits which enable your flat irons to last longer than normal and to help protect you from heat damage. You still want to keep your flat iron below 425 degrees to avoid heat damage. This kit is very effective and it does work to keep your hair straight longer. My flat iron lasted for two weeks and when I did wash it out, it was still looking great. My hair did not become dry, but remained soft, with no breakage and of course my hair reverted back with no problem. This kits includes a conditioning shampoo, hair straightening treatment, rinse-out conditioner and a hair & scalp weekly therapy. 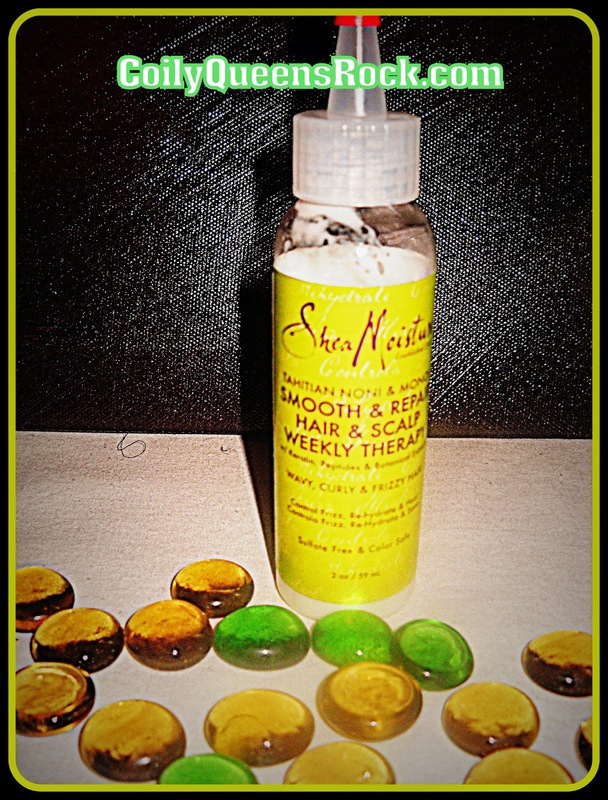 Of all the products in this kits the hair & scalp weekly treatment impressed me the most. So much so, it has replaced the aphogee 2 step as my number one suggested protein treatment. So what is so great about it? The second ingredient is hydrolyzed keratin protein, so the product is very effective in providing strength to my hair strands. You do not have to use heat, as you do with the aphogee 2 step treatment, this saves lots of time. This is a weekly treatment but all you have to do is apply it as you would a leave in conditioner. This product strengthens and conditions your hair at the same time and it does it really well. Your hair will not become dry while using this weekly treatment. So if you are looking for a good protein treatment to help you grow your hair to great lengths this one I highly recommend. Shea Moisture has done it again! Controls the frizz of your twist out! My leave in conditioner nothing else is required. The weekly treatment is protein and moisture combined. If you are experiencing lots of breakage then choose the aphogee 2 step treatment however if you are only experiencing a small amount of breakage choose the Shea Moisture. The kits comes with an after treatment conditioner. Hi, again, Ms. Vee. 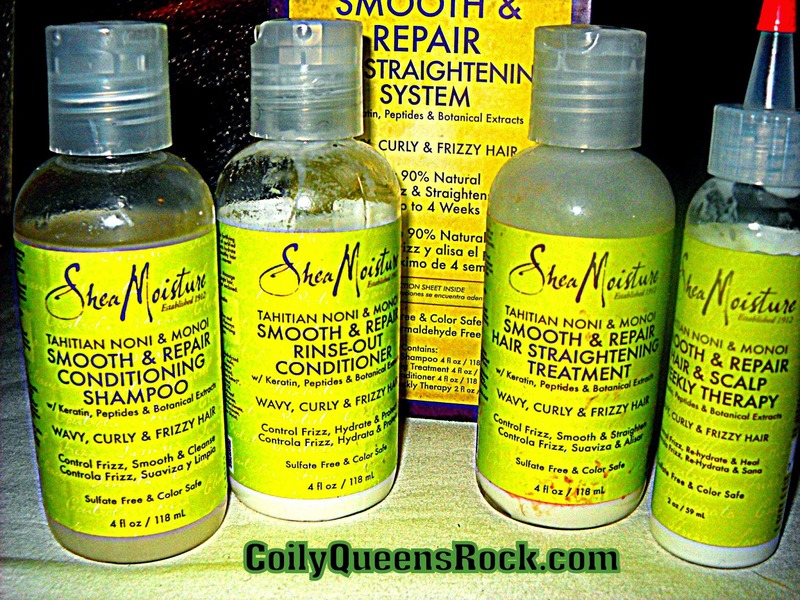 When you used the SheaMoisture Tahitian Noni & Monoi Smooth & Repair system, did it loosen your curl pattern? And, if so, did it eventually revert back? I saw in the instructions that it says the hair will gradually revert back to its curl pattern. I used the Beautiful Textures Texture Management System and the hair reverts back when you clarify shampoo the first time. No it did not nor does it loosen your natural curl pattern. I used this as strengthening system protein treatment. That is what is it honestly. I did not use it to press my hair so I used no heat.....With most of these systems being advertised such as this it is the heat which straightens the hair and the heat which prevents it from reverting back. Using to high heat will change your curl pattern, in many cases it will eventually come back with some deep conditioning treatments over several weeks. Try to keep your heat under 375 as much as possible. Hello! I had a question in regards to Shea Moisture shampoos. I read somewhere online that their shampoos are not "4c hair friendly" and my hair is 4b/4c. Is that true?